Every day homeless cats are rescued from the streets and brought to our Forgotten Cats' shelter/clinic to receive medical care, plenty of food, and clean housing. For many cats this is the beginning of the journey to a second chance with a loving family. For others, the feral cats, this is the first and most likely the last time anyone will give them such care. Either way, Forgotten Cats improves their quality of life. 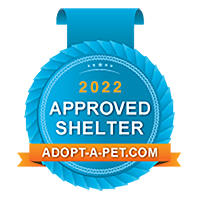 Our shelter volunteers are the dedicated and compasionate people who provide this care and who will ultimately make the difference between life and death for many of these homeless cats. Right now, Forgotten Cats is desperate to find more volunteers willing to care for these cats while they are in our shelter. We need help every day of the week but most especially Friday and Sunday. If you think you can volunteer 2-3 hours anytime before 1pm please let us know. Without these shelter caregivers, Forgotten Cats would not be able to change the lives of so many cats. Please consider volunteering. Please fill out our volunteer application so that we can match you with our volunteer opportunities.